Jessica trains as an aerial silks (sometimes called aerial tissu) artist in Los Angeles. 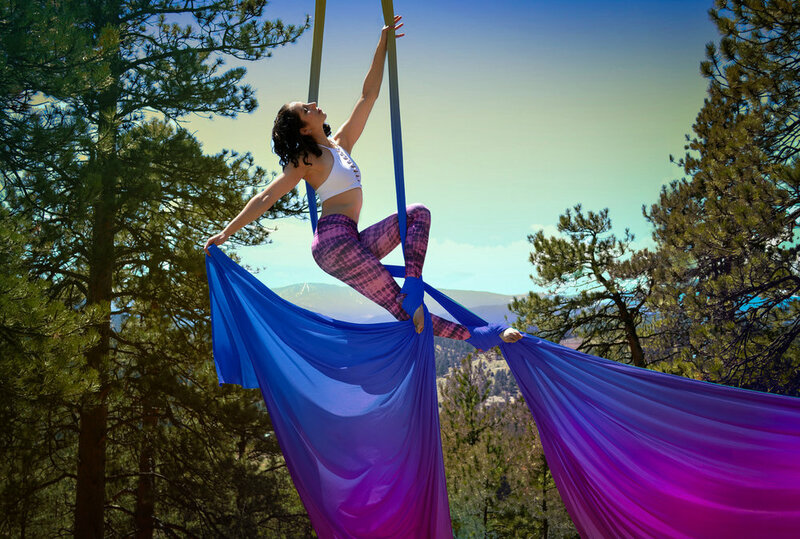 I am a Denver-based aerial instructor, performer, and model, specializing in aerial fabric. I currently teach at Moth Poetic Circus and Denver Dance. For private lesson and performance inquiries, please email jessica@jessicabeth.net. In the past, I have trained at Frequent Flyers in Boulder, CO, with aerialists Rachel Bowman and Brett Womack at Womack and Bowman: The Loft in North Hollywood, CA, and at The Aerial Classroom in Los Angeles, CA. In May of 2018 I completed the Born to Fly Aerial Fabric Teaching Training level one program. For more videos and images of my work, follow me on Instagram, @jessicalevhofer! Photos by Nigel Wang Photography, Brittany Wilcox, Nina Reed Photography, Anna Cicone Photography and Alloy Images.